In 1988 the New York Tugboat industry went on strike and at first it looked like any other strike. There were a lot of harsh words, idle threats, and posturing as expected preceding a hard won but anticipated negotiated settlement. That is, until the replacement workers arrived ala Ronald Reagan and the Air Traffic Controllers. The company owners went with hiring replacement workers from the southeastern United States and the Gulf of Mexico (the oil patch), for half the wage scale of the union membership. These men were coming from an even more depressed labor market and gladly accepted the meager wages. It was plain that the companies wanted to replace their union people and move ahead without playing ball at the negotiating table. The scenario played out for many other boats as more outfits installed the replacement workforce and abandoned their cooperation with the union’s leadership. Some outfits did attempt to stay the course and negotiate with the union in good faith, but the union was steadfast in resisting the companies insistence that, wages must be cut, the Captains removed from the bargaining unit since they were “supervisors”, and “the cooks must go”. The wage packages were not necessarily the biggest sticking point since many of the proposed contracts were in line with the normal and expected issues that would have been discussed, but bundled together the lockouts, the captains, the wage cuts, and cook issues pushed the union to a strike vote. Strikes by nature are meant to exert pressure by withholding critical union provided services. It’s Labor’s most disruptive and difficult device, but its effectiveness can’t be underestimated. New York City Tugboats enable a great deal of commerce within their scope and service every sector of society moving goods as well as removing the debris of day to day life. It follows that the pressure would cause those directly and indirectly affected by the loss of services to lean on those in a position to restore the service with an acceptable contract, as when the then-mayor of New York, The Honorable William O’Dwyer found his office directly involved in settling the Tugboat Strike of 1946. While referring to an article published in the New York Times editorial section on August 3, 1988, I found it was easy to agree that the union could never recreate the interruptions of service the 1946 tugboat strike brought to New York City’s doorstep. By 1988, pipelines for natural gas, electric power lines from powerhouses, and major highways had long since come into existence And legally, there was no immediate remedy available to deny the companie’s replacement workers from crewing the boats. In 1946, the infrastructure of container ports, superhighways and pipelines to carry the goods feeding and warming the city were still decades away so the needs of the city were generally transported on the water. The marine industry and railroads sustained that lifeline. Malcom McLean wouldn’t conceive containerization until 1956 and that innovation wouldn’t attain any real large scale foothold until almost twenty years later so break bulk cargo was the norm. The infrastructure of container ports, super highways and pipelines to carry the goods feeding and warming the city were still decades away. The idea that replacement workers might take the place of these mariners was unlikely in those days. The harbor was dramatically more “rough and tumble” then and strikebreakers were not likely to weather the storm very well. In 1988, the replacement workers were the final nails in the coffin of any weight that might have been brought to bear and their arrival left a heavy cloud hanging over the working men of this industry that few would note, except for those of us on tugs. The harbor still appeared as busy as ever, but unless you were a boatman you’d have never known there was a strike. There wasn’t anything more the men of United Marine Division Local 333 could do, their leadership never seriously considered the offers since a stand was being taken to preserve the cooks and assert the power of the leadership. Of the nearly 2,800 union tugboat workers only a few men had crossed the line forever to be marked as “scabs”, the men who “stayed out” suffered for their union loyalty in the most humbling ways. Mortgages defaulted, cars were repossessed, and marriages crumbled under the stress of voluntary unemployment. Union brotherhood came under the real world strain of making a choice of principle over poverty, very few had their options well defined. I can’t imagine a more Herculean task than to defend union solidarity to a hungry child. Retirement plans that loomed in the very near future evaporated as the means to earn a living and pay the bills trumped the instinct to save for the golden years, and instead savings were tapped to make ends meet. A very bitter pill indeed. Proud careers in the industry were shelved as its once proud and independent workforce was left to find work wherever it could, for whatever it paid. Among the reasons that were cited by the companies in refusing the union demands was that running a tug in New York Harbor cost twice that of elsewhere in the nation. The companies sought relief, and a higher profit margin. The union for its part was firm in trying to prevent the loss of any positions on the boats in general, but the cross-hairs were firmly fixed on removing the captains from the bargaining unit, removing the cooks completely, and cutting the daily wage scale of every man on the boat. The companies were firm, the union unbending. Most of the towing companies in the harbor belonged to the New York Marine Towing Association, which bargained with the union as a single unit and many members of that Association did not wish to renew their relationship with the union en masse and as such decided to discontinue bargaining with the Union as part of that group once the binding contracts expired. The few companies that stayed the course with negotiations did so until it was clear there was no averting a strike. In the past the Association members would comply as one with the details of any union agreement but now the owners splintered off and refused to agree to any details not in their own best interests. There was theoretically any number of contracts that could be negotiated with each one unique to the company involved, or no contract at all since the companies were no longer bound to negotiate with the union after the expiration date of the then current contracts. A tiny fraction of the union membership would have a contract to work under for the next decade or so. The Docking Masters did not strike in sympathy. They continued to dock and sail their charges using the replacement workers as best they could. The Longshoremen did not strike in sympathy, they continued to work and watched as their job market also showed a marked decline. In the beginning, the strike had it’s violent moments and shots were indeed fired, but I did not hear of anyone actually being shot. It’s no secret that the Eklof tugs (now K-Sea) that were running in the creeks were affixed with cages around the wheelhouse windows to prevent any thrown or launched objects from breaking the windows, a very real concern in the early days of this strike. The striking union men saw the presence of the replacement workers as the ultimate insult. Their homes-away-from-home were now in the hands of interlopers who had no right to be there. Violence was a foregone conclusion. A fire bomb was dropped on a tow plying Jamaica Bay from the Northern Blvd Bridge. Luckily the tankerman had the cargo tanks properly secured and was quick to extinguish the flames. No one was caught in that incident since the crew aboard was a little occupied with trying to not blow up, and seeing who did it wouldn’t have been possible anyway. *Recency had yet to be codified as we now know it until six years after the strike began, and it isn’t any secret that the Federal government turned a blind eye on the mayhem that ensued. The U.S.C.G. ignored and flat-out refused to take a look at the guys running the boats when the strike was in full swing, no *Operation “Big Tow” then. If the U.S.C.G. ever commented on their actions or lack thereof, I was unable to uncover any documentation to illustrate their mind-set. I can only relate what I witnessed. The first wave of these replacement workers wrought havoc on the piers and buoys of the harbor. They were running each other over in the Kills, Hell Gate, and stopping (involuntarily) at the Astoria Wall under the Hell Gate RR Bridge for a chat with the locals, even putting black oil barges aground on East Bank near Norton Point in the NY Lower Bay. Tugs were frequently seen towing in Ambrose Channel with their tow wires “banjo-stringing” all the way in. With the workforce initially so completely clueless with their area of operation, how their insurers let them slide by is anyone’s guess. The money saved by lower crew costs were surely going to the insurance deductibles. The Coast Guard never answered for its lack of oversight. Curiously enough there was no media uproar, it was all very scary. In retrospect, it’s difficult to hold the replacement workers up for blame since they too were trying to feed their families and make a living. It’s not clear if they knew or cared how big of a hornet’s nest awaited them, the money they stood to make in New York far exceeded the wages they were seeing in the collapsing oil-patch industry. In the beginning these men were at risk from an angry union membership, but no notable harm to men or equipment was reported. Whether it was from fatigue or lack of means or both, the Union’s leaders and membership eventually turned toward the courts for relief. In the years that followed, some of the towing companies made peace with the union and signed agreements, and a few did not. Lawsuits were filed for unfair labor practice and took many years to come to a conclusion. The courts were asked to consider how a few companies jumped-the-gun and locked out their union people a week or more before the end of the legal contract. An issue that took years to settle, at pennies on the dollar. Union boats would never see the cooks reinstated. Weekend overtime disappeared and the captains would not rejoin the bargaining unit. On top of that, getting a relief was made even more difficult due to the lack of qualified people. It was bad enough your wages were cut, now you couldn’t get off the boat unless you were willing to quit. Although many of the experienced men who were forced out of the industry since the strike have returned to work, a large number never returned. This has had an industry-wide, debilitating effect on the pool of experienced men left to hand down the knowledge and skill sets of a New York tugboat man. The union suffered through an ordeal that caused its membership to shrink, it’s influence to wane, and it’s principles to slip. Attorneys with the National Labor Relations Board had offered (then-president Al Cornette) to press an appeal against Bouchard Oil Transport after its initial “unfair practices” case was settled. Even though these attorneys believed they had a good chance to reverse the settlement and get the captains and cooks re-instated at no cost to the membership, this offer was not accepted. The leadership of the local was seen as guilty of hubris and were brought to task for their decisions and self serving behaviors. The union’s old guard of the “all powerful” leaders had failed to consider and/or utilize the power of the modern communication age and so isolated themselves from their members. That failure among many others, would pave the way for their ousters. For years after the strike, as the membership suffered and scraped by, the leadership appeared to turn a blind eye to by-laws and due process. Their actions showed how they felt free to ignore , or in some cases, create rules to serve their own needs over that of the membership. The leadership prospered, collecting dual salaries well in excess of what any member could possibly earn. Many of the subsequent contracts that were offered up for ratification had the stench of a back-room deal with the companies. It was demoralizing how the negotiating committees would hash out an agreement only to have the union representatives already shaking hands with management on a prearranged understanding. This as recently as 3 years ago. Many members like Mr. Steve Oravets saw this as an affront to the union’s charter and membership and sought remedies that would cause many, including himself, to suffer blackballing by the leadership and employers. After many years he now finds himself reinstated and serving the membership on Bay Street, Staten Island, N.Y. as he had hoped he could. Thanks to the advent of the industry seeing more access to the Internet and a younger tech-savvy generation of mariners, the leadership’s perceived corruption and collusion over the years was exposed, discussed, and dissected. And recently, it was enough to bring an end to their reign. In a gut wrenching, drawn out electoral slug fest that threatened to destroy the union. U.M.D. Local#333 came through intact and saw a new and hopefully improved mandate in the final election results. The Internet had a huge role in contributing to the informing and uniting of a dissolute and depressed union membership thus spurring it to clean house and install a fresh, (hopefully) more honest, educated, and youthful leadership. It remains to be seen if the momentum can be sustained. The results from labor negotiations of the last few years here in New York are testament to the dearth of qualified personnel. The companies began courting talent and some even tried headhunting/raiding (H.O.S for one), we can thank them for bringing the wage scale back up to where it should have been all these years. Some expansions we’re witnessing are being slowed by the lack of licensed and unlicensed personnel. The want ads that were once devoid of any real marine employment opportunities now teem with banners seeking “New York Harbor and Northeast” experience. The value of the New York tugboat men has become the standard sought and courted by the large oil transporters operating here in the Northeast. The regulatory trend has swung in the direction that favors the mariner for now. With credentials so difficult to acquire, we can actually thank the USCG for making us a bankable commodity. Replacement workers these days would cost a small fortune in pilot fees under the new regulations. There would be little benefit in starting from scratch since the customers want their cargoes moved safely and legally, since their liability is so very costly under the “strict liability” clauses of the Clean Water Act and O.P.A. 90. Companies are now treating their workforce more as a valuable asset rather than a necessary evil since the idea of replacing them is ludicrous, if not impossible. There aren’t enough qualified people in the industry for a similar scenario to take place on the same scale. The lessons learned from the last twenty years have many applications today, but the real progress has been made with the way we communicate with ourselves within the industry. We aren’t hindered by geography anymore. I’m a mouse click away from my peers anywhere in the country. We have common interests and concerns and we are learning to network and target our goals. The future remains for the new and old in the industry. It will be difficult to hide the process that governs the organizations that represent mariner interests since we can all talk to one another in real time. The idea is to keep listening, discussing, and deciding. In years past you had to know someone in another outfit to know the details of their labor agreement, now the information for every union negotiated contract is at your fingertips. The old will teach the new and the new will not forget the lessons of the old. To paraphrase what I’ve said before, a lesson learned is seldom better than a mistake never forgotten. good evening, excellent and well written. Thank you. I knew this is why we hear those melodic cajun and southern accents on the marine radio. But, where did those men go, the ones who were replaced and never came back? what is it like to leave your harbor, your boat, your community? to walk away from an industry probably your brothers, cousins, father, uncles, grandfathers all worked in? Yes, that dulcet southern drawl is now a fixture in New York. The remaining southern contigent continues to work in and around the Harbor. It’s a bit of a reality check for us all. Even with the shortage of qualified people, the disparity in wage scales persists between “Northern” and “Southern” boats. The men who were displaced found themselves out of work and faced with few decent prospects. The realities of competition in New York for towing and transport work was being influenced by the arrival of Interstate (then Maritrans, now OSG, ) and other less expensive “southern, (read non-New York)” outfits. The overhead for these new arrivals was lower. There were outfits that attempted to toe the union line such as the United Pilots with their infamous tug “Terror”, but did not endure. The towing companies made a choice to compete and survive, the union leadership ignored the reality that was looming. The men who were displaced left the industry or crossed the line. Either way it was not an easy time for the New York boatman. It’s too close to the story of Goldilocks for comfort. The phrase “who’s that sleeping in my bunk” could have easily applied. There’s no real way to describe how it might’ve felt. But it doesn’t take an awful lot of imagination to guess. Thank you, Captain, for educating me on how my reticent father must have felt during the strike, as he painted houses on the side to make ends meet, never waivering in his belief that the union would prevail. My father, Capt. John T. Willmot, lovingly known on the boat as Pop, will be leaving the industry after 51 years in the Harbor. I plan to print your chronicle for him and add it to his scrapbook to be presented at his upcoming retirement party in February, 2009. I’ve sent a personal note you Ms. Wilmot, but I wish to acknowledge Capt. John T. Wilmot and wish him a long and happy retirement. Fair wind and a following sea Cap. Capt. Bill, I know that you are a voice heard around NYC with the tug Nicole. How were you personally effected by the stike? And what were the worst affects that Reagans ADMIN had with the industry(in your eyes of course)??? My income saw a dramatic reduction within 6 months of the onset of the strike. Captains took a 28% cut, mates and engineers took a 32% cut, and deckhands got hammered for 48%. My outfit was not represented by, nor did it negotiate along with U.M.D. 333, we were with District 1 MEBA, and although we did not share the issues of lockouts and cooks, we were handed a pay cut and told it was necessary in order to compete with the other outfits in the harbor. The pay cuts were the least of our worries it turns out. To address your question regarding the “Reagan effect”; The Administration, either directly or indirectly allowed/instructed the USCG to abdicate its responsibility to enforce the existing regulations or investigate practices locally that were creating havoc due to the replacement workers lack of familiarity with the harbor. I’ve already detailed to some degree the multiple incidents of damage and the general confusion that existed at the time. Those of us still at work were faced with a necessary practice of operating in a much more “defensive” posture since we never knew if the tug and tow ahead or behind would act within the rules of law or good common sense. Capt Joel Milton and I had a conversation regarding this very subject last week and agreed that the USCG was derelict in its duty during the early days and subsequent years of the NYC Tugboat Strike of 1988. They (the Administration, USCG, and local officials) basically turned a blind eye to the ongoing madness and didn’t step up to do their job. It may never come to light as to why, I just know that it was. Joel noted, had this strike occurred post– Exxon Valdez, it would have been impossible for the USCG to ignore their responsibilities in such an overt manner. Very Interesting arfticle. My Grandmother, Gladys Davis walked the picket lines during the strike. She was 87 at the time. And now after 21 years Mcallister towing is going union again in 2010 !!! My family has been working NY Harbor for many generations, but I unfortunately broke that tradition, much to my disappointment. I can remember starting as a five year-old kid spending summers (7&7) with my Dad, Larry Westcott, who was Captain of the tug David McAllister. My father always bragged how I singlehandedly sailed the David from the Goethals Bridge, through The Kills and headed across the harbor towards The Battery at six years-old (while he was at the rear steering station, just in case). Another Captain bragged that his son did it at 12 years old, so being a Westcott I should be able to do it at half that age. When most kids were learning to use crayons in school, I already knew how to operate the radar, steering controls, radios and basic navigation. My father, late, John Hemingway, worked for McAllister and retired in 1974. He passed away in 1977. He worked on the Dorothy, Catherine, William H., and I think the Nancy. I entered in the industry in September of 1973, I worked in a different outfit and I don’t believe I met your father. Although it would seem that everyone meets or deals with everyone else after some time in the business, it takes time. Being a green deckhand then, I was focused on learning my job and keeping the captain (my father) happy. I didn’t really start connecting with other professionals until I started in the wheelhouse. I don’t remember meeting your Dad, but I’m sure my Dad must have known him. My Dad Larry passed away about 4 years ago. He broke his back in an accident on the David McAllister about 1975, so I didn’t get to go on the tugs too much after that. Between my Dad and his buddy, Larry DePew, they knew almost everybody in the harbor. When my Dad was 15, my grandfather caught stomach cancer and was out of work for several months. During that period my Dad took his father’s union card and went to work decking under his father’s name (Benny Westcott). That was about 1950. He work most of the next 25 years in NY Harbor, with a brief stint on the Mississippi and in the Gulf of Mexico in 1969, neither of which paid much at all. I went to work in the Gulf of Mexico on a jack-up barge that repairs oil platforms in the Gulf just before college in 1984. The pay was miniscule. I earned $30/day as a galley hand my first 2-weeks, $35/day as a deckhand my second two weeks, and $40/day as an unlicensed First Mate my 5th and 6th weeks working (licenses weren’t required for a Mate on this type of oil service vessel at the time). After that low wage experience, I appreciated college much more. Thank you for a very well written piece. I worked for Turecamo as Chief Engineer on the Frances Turecamo at the time of the Strike and was the first Union Man put back to work after the “Injunction”. They kept the Scab Crews onboard and to say the least this was not a very good situation. On the Frances I was lucky that the Scab Captain did not put up with any BS from either the Union Crew or the Scabs. One thing that should be mentioned is how hard it was to have to work side by side with these scabs or worse the “Super” Scabs (Union Men the crossed the picket line and went back to work. I took a job on the training ship at SUNY Maritime. I was the Chief Electrician for two years until I got a job with Maritrans. I found that I just could not work for these NY companies anymore. This really hurt as I am/was a Fifth Generation NY Tug Boater. Some of you might remember my Father Jack Garrett. I have just ended my sail career and retired from Maritrans / OSG. I had to retire early due to a serious back injury but in heart and soul I will forever be a NY Tug Boater! I remember. I myself came back like after the injunction as a deckhand like I left at the strike, at Turecamo. I toughed it out as it was terrible when we first came back and sometime after. After 31 years, I’m still there but it’s Moran now. I managed to work my way up through the ranks to Pilot now and have been off the boats for 11 years just docking ships for Moran. I was just thinking of you and Joe Casco not too long ago. It’s startling how the years fly by. I feel old now even though Im just 48. The boats are all I know and I’d be shining shoes if it werent for the tugs and now ships as I am a hawspiper and proud of it. The strike nearly killed us all and many a good friend and shipmate I lost, never to see again when they chose not to come back. And who could blame them. The industry has been good to me outside of 1988 thankfully. Its good to hear from you Jim, I hope you feel ok after your injury. Enjoy retirement. HI JIM! I CERTAINLY DO REMEMBER YOUR DAD,BECAUSE HE WAS MY UNCLE! MY NAME IS BILL GARRETT, YOUR COUSIN. GREAT REPLY TO AN INCREDIBLE STORY. WOULD LIKE TO SWAP FAMILY AND TUG BOAT STORIES WITH YOU. I WORK AT WEISLEDER FORD LINCOLN MAZDA IN PT PLEASANT IN THE PARTS DEPT. SLAINTE!!!! i would rather starve and eat trash out of a dumpster before I ever SCAB. MY DAD WOULD ROLL OVER IN HIS GRAVE. on September 22, 2010 at 21:22 | Reply Earl E. MAXFIELD, Jr.
My roots in NY Harbor go back to the 1890s or earlier. My Grandfather and Great Uncles were on H&NYT and McWilliam’s Blue Line tugs and barges from thereabouts well into the twentieth century. One of them witnessed the burning of the GENERAL SLOCUM in the East River. Cousins and uncles followed. 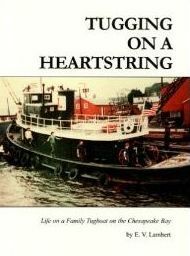 My father started steamboating with my uncle on tug SPARTAN , Blue Line, about 1923 firing the boilers. They soon found decking jobs. This uncle later was Captain of the first TURECAMO BOYS before going to Panama as a Canal Pilot in 1940. He retired in 1961. My father became Senior Captain in the Russell Brothers fleet, serving as Captain on five of their new builds. 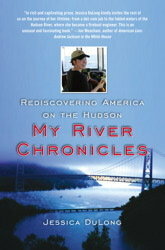 He later was Pilot for years with his cousin on the Connecticut River. Another uncle sailed engineer for Poling, Card, Bushey and others. Cousins were with Bushey, Hedger, Moran Arundel etc.. I decked for Russell Bros. in 1945, later steered the 17 and 15. Retired from MOBIL 1 in 1989. Been coast,river and Sound Pilot since. The ’88 scabs were dangerous!!!!! Earl, my Grand Father (Bill Garrett) was one of the Owners of Blueline. It would be great to get in contact with you to talk about Blueline. I got the chance to work on the last Salutation before Hess took her south to work in the Virgin Islands. I hope to hear from you and Please be Safe. I was fourteen years old when the strike began. My father a 30 year member at the time. I grew up around the tugs and dreamed of being a captain when I was older. I always felt like something was missing did I miss my calling? After losing my dad during august of 88 I lost touch with the goings on at the local. Great article thanks…. July 17, 1914 my mother was born on a tug boat in the NYC harbor, I know her tug’s home was in Staten Island. My grandfather worked on the tug. Is there any way to find more information, in order to identify the tug she was born on? Does anyone here remember my Father? His last boat was the Mcallister Bros.
My Father passed away about 6 years ago. Looking foward to hear, if you remember my Dad. I rode on the Catherine back in the early 1970’s. I remember my dad hanging out the pilot house window talking to another McAllister skipper who asked my father to “Join the big tugs” and sail out in the ocean. My dad replied he liked the Catherine and she was a good boat and would not do so. I lost Mom on August 4th of last year. We buried Mom with Dad and now they both rest. search for Leona Hemingway 1919-2010. U will see a pic of both of them. There is a link to my father’s memorial there to. Noted and corrected, thank you. What a great article! It could not be said any better. The way you told it is as same as my father told it to me as I got older. I was only 7 when that was going on. I remember the stories as if they were yesterday. Thanks for the article skip. Boy that’s a tough one. I have to tell you that the local your Dad probably belonged to (UMD 333) has gone into receivership and is in a state of limbo. I can’t even give you a number to call. The people tasked with the duty of overseeing those benefits are no longer available. The union has been seeing a lot of infighting, challenges and some would say funny business. I can’t help with this as much as I’d like to. I hope you can find someone more helpful than me. Thank you for getting back to me. Your article on the 1988 strike was very thorough. I remember my dad going to walk the picket line after he was retired. It felt like a lost way of life. Thank you Capt. B for a terrific explanation to one of the most difficult time in our family’s lives. I was young at that time, and not completely aware of the whole situation. It was an extremely sore subject in our house. My father was Captain Don Hamilton. He had a long loving history on tugs. Working over 40 years on the entire eastern seaboard, he was a proud seaman. Capt. Don worked for nearly all the companies mentioned here on your site. I miss the stories he told about his times on the sea. He was happiest when working on the tugs. The 1988 tugboat strike nearly killed him. He was a scab after staying out of work for months. He did what he HAD to do to support his family. Dad was heartbroken when he crossed the line and went back to work. He did not tell us the gory details of the violence & such. I believe he was Eklof at that time. At any rate, it was a tough time for him and his family. We didn’t realize the tougher time he faced when he returned to work. I salute all the men and women who dealt with the corrupt, self centered and the down right evil companies and so called union that these people worked so hard for. The ramifications of this strike changed the entire industry. Hopefully, nearly 30 years later, this change was for the better. Fair tide Captain Don. I am so very proud of you! Your memory lives on… I’d love to talk to anyone who knew of my dad. He was a great man. My email is mry661660@aol.com. Thank you Capt. B! Dear Ms. Becker, If I’m not mistaken your Dad was with Reinauer when I joined the outfit in 1992. He was Master on the tug Franklin Reinauer at the time. My name is Richard Johnson and I worked as a cook for McAllister from 1979 until shortly before the strike of 88. Most of my time was on the Brian A. and the last 2 years on the Brothers. My Dad Bob worked as a deckhand for Dallzell and then McAllister for 40 years. My Grandfather, uncle and cousins were all boatmen. I still have fond memories of the job and especially the close friendships developed with crew mates. Anyone out there who might know me or any of my family members is welcome to contact me at rcmsj@hotmail.com. Hello. Does anyone know of. Frankie Stanke ? He would be 79 years old?